the food on white photolibrary blog: My Image Copied on Shutterstock, iStock, Thinkstock, Fotolia and probably more! My Image Copied on Shutterstock, iStock, Thinkstock, Fotolia and probably more! 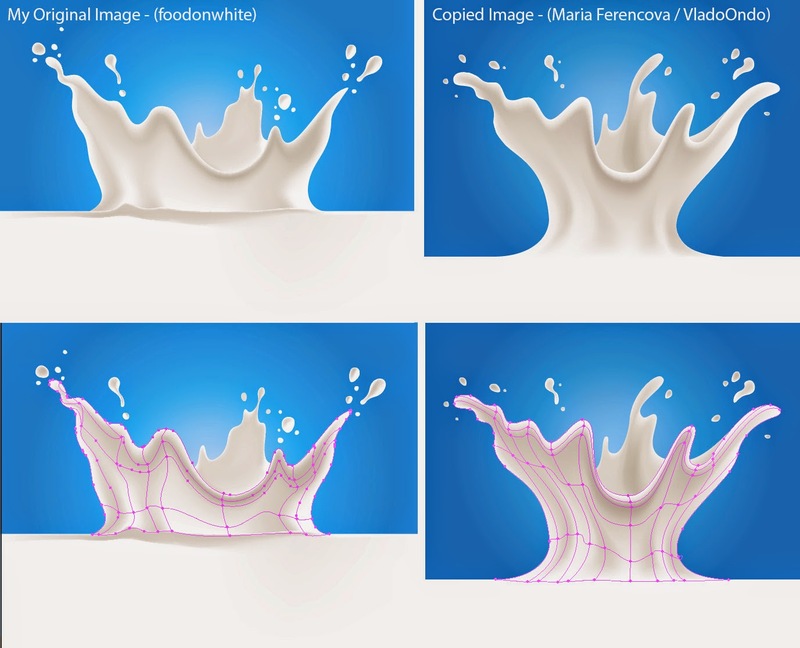 My milk splash vector has been at the top of searches for 2 or 3 years, but another contributor - 'Maria Ferencova' on Shutterstock, 'VladoOndo' on iStock - has completely copied my vector gradient mesh, possibly even just downloaded mine, then distorted it and moved a few droplets around! ...plus loads of variations of it. ...plus Thinkstock, Fotolia and who knows how many more, all making money on the back of MY original hard work. I am absolutely outraged that Shutterstock are allowing these to continue to be sold. They did suspend all her images temporarily, then put most back online again. If this is the way things are heading then I can see no point bothering creating images any more only to be ripped off, taking sales of MY images away. ...so I shall be pursuing this legally. Anyone have any experience of this? or any advice more than welcome!